Cranes are large, long-legged and long-necked birds in the group Gruiformes. Unlike the similar-looking but unrelated herons, cranes fly with necks outstretched, not pulled back. Cranes live on all continents except Antarctica and South America. They are opportunistic feeders that change their diet according to the season and their own nutrient requirements. They eat a range of items from suitably sized small rodents, fish, amphibians, and insects, to grain, berries, and plants. Most have elaborate and noisy courting displays or “dances”. While folklore often states that cranes mate for life. 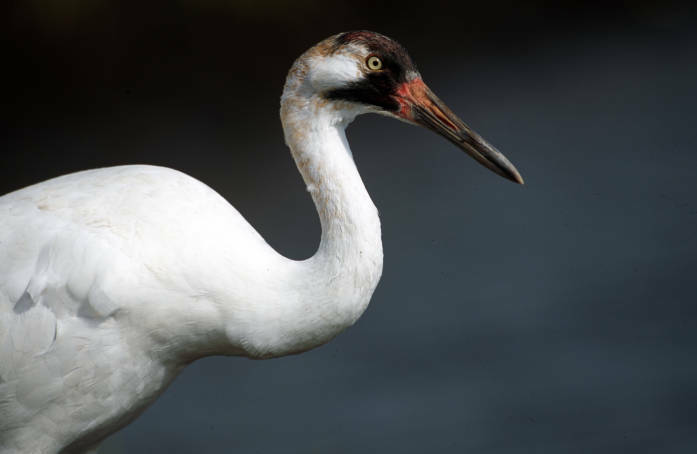 Cranes construct platform nests in shallow water, and typically lay two eggs at a time. Both parents help to rear the young, which remain with them until the next breeding season. Some species and populations of cranes migrate over long distances; others do not migrate at all. Cranes are solitary during the breeding season, occurring in pairs, but during the non-breeding season they are gregarious, forming large flocks where their numbers are sufficient.